We all know that good study habits, supportive parents, and engaged instructors are all keys to getting good grades in college. 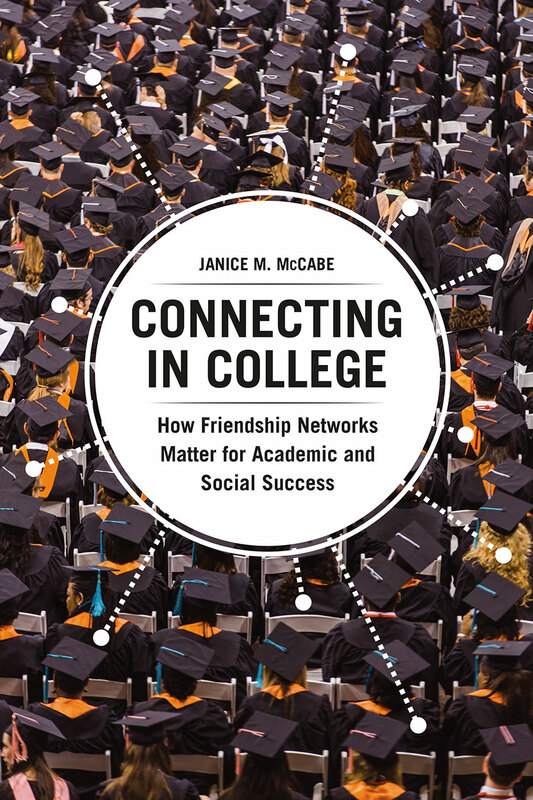 But as Janice M. McCabe shows in this illuminating study, there is one crucial factor determining a student’s academic success that most of us tend to overlook: who they hang out with. Surveying a range of different kinds of college friendships, Connecting in College details the fascinatingly complex ways students’ social and academic lives intertwine and how students attempt to balance the two in their pursuit of straight As, good times, or both. As McCabe and the students she talks to show, the friendships we forge in college are deeply meaningful, more meaningful than we often give them credit for. They can also vary widely. Some students have only one tight-knit group, others move between several, and still others seem to meet someone new every day. Some students separate their social and academic lives, while others rely on friendships to help them do better in their coursework. McCabe explores how these dynamics lead to different outcomes and how they both influence and are influenced by larger factors such as social and racial inequality. She then looks toward the future and how college friendships affect early adulthood, ultimately drawing her findings into a set of concrete solutions to improve student experiences and better guarantee success in college and beyond.